Whenever you go to the grocery store, you’re bound to notice a lot of items (both produce and dry goods) packaged in plastic. 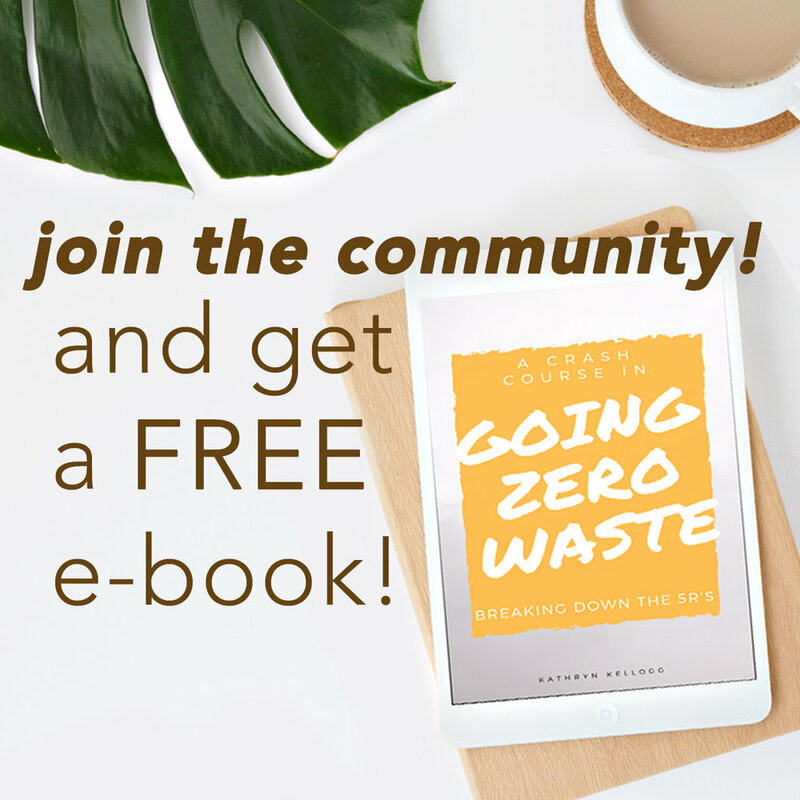 Today, I challenge you to shop without creating any waste. It’s day thirteen of the zero waste challenge! The beginning of the challenge is focused on simple swaps like bringing your own water bottle and bags to the grocery store. Now, we’re in the second phase of the challenge. These changes are lifestyle changes like learning to make your own snacks and decluttering your life. Things are starting to get a little more advance and will take a little bit of research to complete. Today we’re talking about zero waste grocery shopping. A lot of our groceries are wrapped in plastic. We’ve become so used to the idea that food comes from manufacturing plants and is wrapped in plastic to keep it sanitary all the while forgetting food comes from dirt. Food is not sterile. It’s grown outside. Shopping without creating any trash was just normal grocery shopping only 50 years ago. Every corner store and market would have bulk bins full of sweets and treats! Now, it just seems like everything is overly processed and overly packaged. This challenge is kind of two-fold: First, locate your nearest shop that has bulk bins where you can go zero waste grocery shopping, then actually go out and do it. To locate your own local bulk food store, type in your address using the bulk food finder app. Litterless also has a mega list of bulk food stores located around the United States. That said, I understand that not everyone is going to have a bulk food store near them. And sometimes that’s not exactly the end of the world. 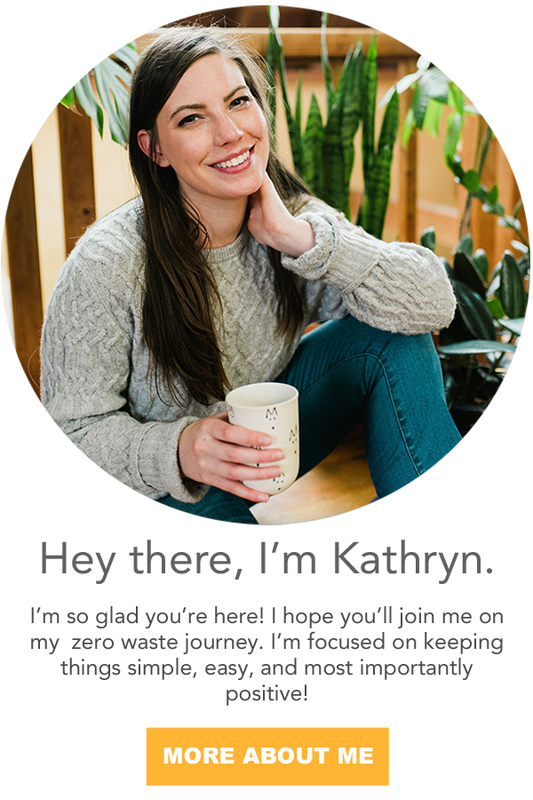 If that’s the position you’re in, check out this blog post how to be zero waste without bulk options. If no bulk food stores exist in your area, opt for paper and cardboard packaging over plastic whenever possible. If an item only comes in plastic, buy the biggest container available (this reduces the amount of little plastic bags or containers put into the waste stream). My closest shop is around 40 minutes away, or two hours both ways by public transit. I only go every couple of months so that way I’m only stocking up and grabbing the essentials. By going every couple of months I’m reducing my resources as far as transportation goes, and I typically couple it with a fun trip. Justin, my husband, and I might go to a nice restaurant we wanted to try, see a show, or do something else fun beyond just grocery shopping. Since I’m typically only shopping for dry goods at these stores, it’s not like I have to worry about them spoiling. I typically bring cloth bags and jars to the grocery store. I don’t bother weighing my bags because they’re typically so light they don’t even register on the scale. I weigh my jars by getting them tared upfront at the register. Then I go to the bin and write down my PLU number (or take a picture of it with my phone). I will fill up the jar with whatever the ingredient is I need. When I go to checkout I will tell them the weight and they will subtract the weight of my jar. Then I will tell them the PLU number so they know what’s inside of it. Last but not least, they’ll ring me up. This way, I’m only paying for what I put in the jar. I have a whole guide to zero waste grocery shopping you might want to check out for more details. I also have another article about what to do if you don’t have any bulk bins in your area, because I know that will be the case for some people. But I still encourage you to look around. You might be surprised by what you have. Talk to friends and family, use Yelp and type bulk bins on there, or even walk around your downtown area. Sometimes I’m so surprised by what I find downtown that doesn’t have a very strong web presence. I found a spice shop, a tea shop and an olive oil shop all where I can get things in my own container, just by getting out there on foot and looking around. Beyond, just buying from bulk bins, opt for a diet using mostly fresh produce. That’s typically pretty easy to find without any packaging. Bring your own reusable produce bags or just skip them all together! And, don’t forget to bring your reusable bags like we talked about on day 5. Check that blog post out for some awesome hacks on how to quit forgetting your reusable bags at home. So my challenge to you today is to find a place to go bulk food shopping and to actually give it a try the next time you need to buy groceries. Over the next 18 days, pick one day and go zero waste grocery shopping. You can find a bulk food store near you by doing a google search, using Litterless’ guide, or searching on the bulk food store locator app. Once you find the bulk food store nearest you, head on over and shop using your own containers. If you don’t have a bulk food store near you, opt for purchasing products in paper or cardboard packaging whenever possible over plastic.